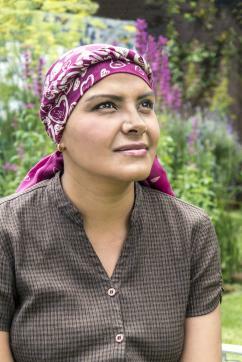 When cancer patients undergo chemotherapy, their hair follicles may weaken. This can lead to the loss of most of their hair. Affected individuals often consider wearing wigs for this reason, but a good quality wig can be expensive. 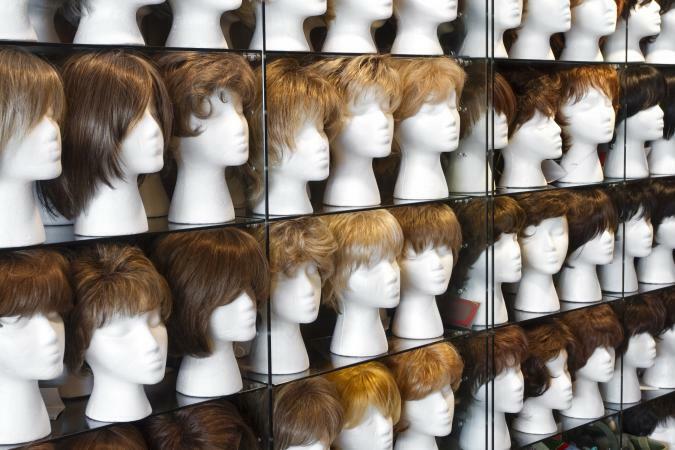 Fortunately, there are a few resources that provide free wigs to patients with cancer-related hair loss who cannot afford to purchase their own. If you or someone you love can't afford a wig, you're in luck. Several reputable organizations provide free wigs to individuals in need. Many local chapters of the American Cancer Society (ACS) provide free wigs through their wig banks. In order to determine if a chapter near you has no-cost wigs available, visit the ACS page for locating events and resources in your area. The ACS has also teamed with the Entertainment Industry Foundation to distribute free wigs donated by the Pantene Pro-V Beautiful Lengths campaign. Relying on ponytail donations from women across the country, the campaign creates the wigs and distributes them to ACS wig banks. If you are interested in obtaining a free wig, contact ACS at 1-877-227-1596 for details. You may need to contact your local chapter directly to find out exactly what is available in your community. CancerCare, a national non-profit organization dedicated to providing completely free and professional support services to cancer patients and anyone affected by the disease, offers wigs at no charge. Take advantage of this service by contacting the organization. Martino Cartier is the moving force behind Friends Are By Your Side. Motivated by his friend's cancer ordeal, Cartier created a consortium of salons and stylists that will provide free wigs and styling services to women battling cancer. Visit Friends Are By Your Side to locate a participating salon in your local area. Many local chapters of Susan G. Komen for the Cure offer wigs free of charge to patients. To find a Komen affiliate in your area, visit the organization's online affiliate locator. EBeauty, an organization dedicated to providing support for women undergoing cancer treatments, offers a non-profit wig exchange program. Gently used wigs are donated, refurbished, and given free of charge to women undergoing chemotherapy treatment. Women can use their free virtual makeover tool before requesting a wig to find the perfect style. Children With Hair Loss (CWHL) is a 501(c)3 organization dedicated to being a hair replacement resource for disadvantaged children with medically induced hair loss from illnesses such as cancer or due to burns. Children must be under 21 years old and must furnish proof of their date of birth. Documentation of a hair loss due to medical reasons and a request for hair replacement form are needed to request a wig. Hair replacement forms can be completed online or downloaded and submitted by mail. Applications are processed when Locks of Love has received all the required documentation. Children under the age of 18 with cancer are eligible to receive a wig free of charge from Wigs for Kids. This non-profit organization relies on the donation of ponytails to create wigs for children. To request a free wig, simply download and fill out their wig application. In North Carolina, the Duke Comprehensive Cancer Center offers a variety of support groups for patients at the hospital and within the local community. Among them is the Belk Boutique, which offers free wigs in various styles and colors, as well as turbans and hats (also provided at no charge to the patient). The Duke program is just one example of hundreds of similar programs across the country. Another example of a similar program is the University of Michigan's Comprehensive Cancer Center Wig Bank Program. To find out if a treatment center near you offers a free hairpiece service, contact your local ACS chapter or community hospital for further information. Joann Nicely founded the Pink Hearts Fund because of her own battle with cancer. This nonprofit organization provides free wigs to needy adults or children in Mississippi and Texas who have medically induced hair loss. Individuals requesting a free wig must have a prescription from their oncologist and fill out an application. Wig fittings are by appointment only. If one of the options discussed here does not work for you, there are some other options you can try. Any organization that provides free wigs to cancer patients will have guidelines someone must meet to qualify for a free wig. However, just because an individual does not fit the guidelines for one organization, does not mean that he or she won't meet the criteria of another one. Local cancer centers or organizations: Even if a local cancer center or cancer organization does not offer free hair prosthesis services, their staff may be able to tell you about other resources available locally. Wig specialists and wig stores: These individuals and companies may offer free wigs as part of their outreach to the community. Even if they do not, they may know of someone who does offer that type of service, so they can point you in the right direction. Hairdressers and salon owners: Since they are in the hair care business, hairdressers and salon owners typically have industry contacts and can source information about hair replacement and other hair loss services for cancer patients. Insurance companies: If you have health insurance, check with your provider to see if your benefits include covering the cost of an extra-cranial prosthesis. If not, ask your contact at the insurance company if it's possible to refer you to a free wig bank or free wig service. Friends and family: Friends and family members may have helped someone with cancer find a free wig, or they may know someone who could help you in your search. It's important to ask as many people as possible to help you in your search because it increases your odds of success. The keys are to be persistent and to explore every avenue for getting a free hair prosthesis. If possible, do your research and try to locate a source for a free wig before you have to start chemotherapy or other medical treatments for cancer as your energy level and stamina will be greater. Cancer patients may have budgets that are ravaged by the expenses of treating this insidious disease, so receiving a no-cost wig may help relieve the financial burden as well as the emotional one of coping with hair loss during this traumatic period. Hair loss can be very traumatizing for cancer patients and they may lose self-confidence if they cannot afford a wig. An important reason so many organizations provide free wigs is so individuals living with cancer can regain their confidence during this difficult time.